There are many different brands and types of airfryers out there, but it is without a doubt that the Philips HD9230/26 Digital Airfryer is one of the most notable choice. But for a price tag of almost $250, is this kitchen appliance really worth it? Let’s take a look at this product in more detail in this Philips HD9230/26 Digital Airfryer review. Because the Philips HD9230/26 Digital Airfryer allows you to fry and cook foods with little or no oil at all, it reduces the fat and cholesterol content of foods by up to 75%. The amount can be further reduced because it also helps to drain away all the excess fat in the food. 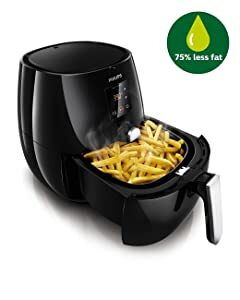 Most of you may think that because of the compromise on the amount of oil, the taste of foods fried in the Philips HD9230/26 Digital Airfryer will taste bland; however, this is far from the truth. Many users attest to the fact that food cooked with this fryer tastes just as good as any food cooked in a regular deep-fryer. The Philips HD9230/26 Digital Airfryer comes with double layer racks that allows you to cook more food at any given time. The 1.8 lbs. capacity of the cooking basket of the airfryer is large enough to cook for at least 5 people, but with the addition of the rack can increase this number. In addition, the Philips HD9230/26 Digital Airfryer has temperature settings which can be set to as high as 390 degrees, and with the additional accessories like grilling and baking pans, you can now cook a wider variety of dishes and recipes. Homeowners love cooking, but not the mess that it leaves behind and the need to clean them. Because of the enclosed design and oil-less cooking, cooking need not cause a mess for you to clean up. Also, the cooking baskets and pans that come with the Philips HD9230/26 Digital Airfryer can be cleaned in the dishwasher, making cleaning it hassle-free. The Philips HD9230/26 Digital Airfryer has a lot of features which are new and interesting, some of which are not present in other brands and models of airfryers. Intuitive Digital Touch User-interface with a digital touch screen that allows you to control time and temperature for more precision cooking. As with any other product, there are things that you may or may not love about the Philips HD9230/26 Digital Airfryer. The Philips HD9230/26 Digital Airfryer is packed with a whole lot of features that are not present in other similar appliance of different brand. The digital user-interface is a standout, providing this kitchen appliance with a lot of functionality and flexibility in terms of cooking time and temperature. 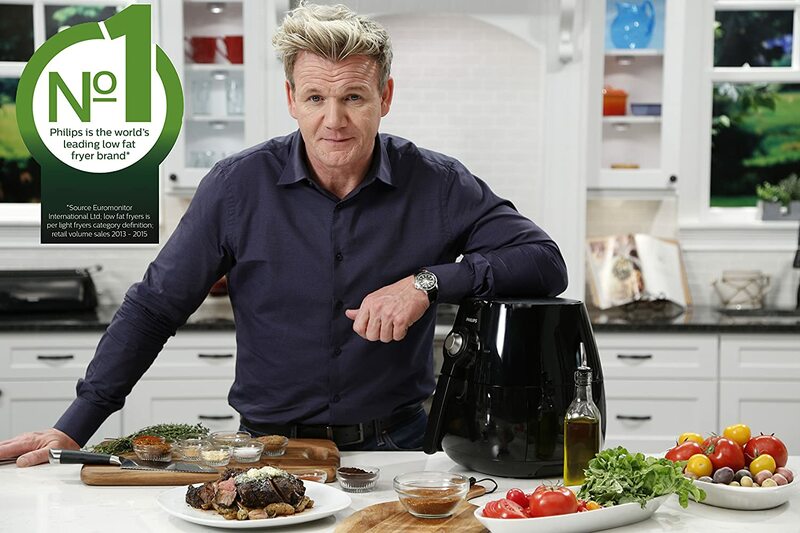 The recipe book that comes with the product is a great addition that allows users to fully maximize their use of the airfryer. All in all, the Philips HD9230/26 Digital Airfryer is a great addition to any kitchen and a must have for people who are looking for a way to enjoy fried foods in a healthy and more convenient cooking way.